The DP-170-N85II has an additional 30mm of extension on top of the original DP-170 dome. So a total of 60mm of extension, plus the internal diameter of the port body is 77mm allowing the larger diameter lenses such as the Olympus 12-40mm or the Sony 10-18mm lenses to be used. 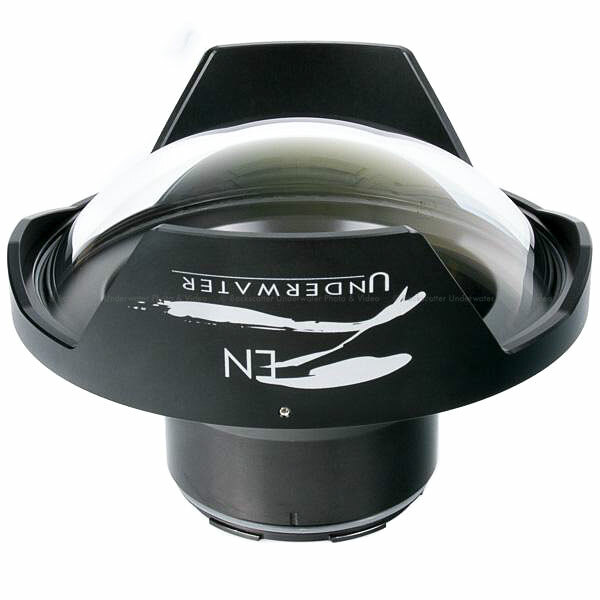 From the leaders in underwater optic comes another outstanding handcrafted optical glass dome port. The Zen DP-170 offers another 'right sized' version of their legendary dome port line. The 170mm size is travel friendly yet maintains the Zen tradition for the finest optical ports available. This multi-coated port offers optical purity, free from chromatic aberration, flare and distortion yielding stunning photographic results. The interior of the dome element is coated with a magnesium fluoride broadband anti-reflective coating to minimize internal reflections from camera lenses, lettering on cameras, etc. which can be problematic when shooting over/under scenes. The exterior is treated with a proprietary scratch resistant coating to control lens flare. This coating yields an amazing 99.7%+ transmissive value for true distortion free images. The DP-170 is available in mounts for Nauticam mirrorless, Nauticam SLR, and Sea & Sea housing. Includes protective aluminum shade and neoprene cover.